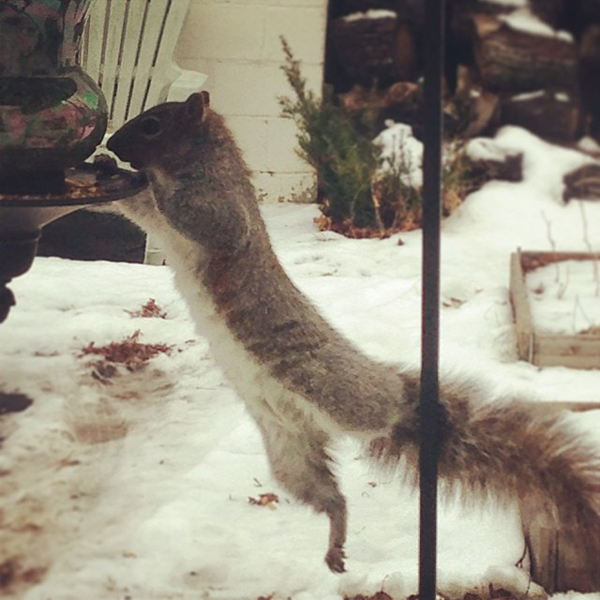 Aaron filled my bird feeder and hung it outside the kitchen window so I could watch the birds. Today when I looked outside, this is what I saw instead. 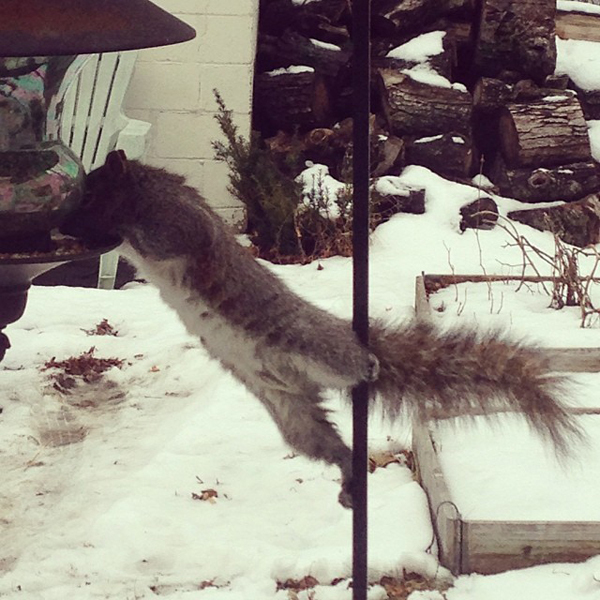 Turns out the squirrels in our neighborhood are quite the acrobats.